As the Africa Cup of Nations kicked off this past weekend in Equatorial Guinea, many club sides around the world gritted their teeth and hoped that their players taking part in tournament would come back healthy. Although it is certainly an inconvenience to some clubs, particularly in Europe, that the biannual tournament falls in the middle of club season, it's a wonderful competition that pits the best African players against each other. It also provides a showcase for lessor known players that are hoping to capture the eye of one of Europe's big clubs. Several players that have taken part in this tournament have also good on to great success in Europe and have helped their clubs to win what is still arguably the greatest prize in club, the UEFA Champions League. The following are five of the best African players who played for sides who won European Football's greatest prize. 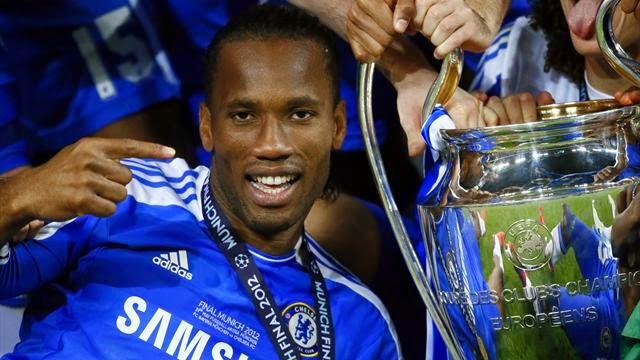 One of the greatest African footballers ever, the Ivory Coast superstar Didier Drogba was the hero in the 2012 Champions League final as he scored a late equalizer to cancel Thomas Müller’s opener and send the game into extra time and eventually penalties. During the penalty shootout, Drogba scored the final spot kick to secure 4-3 win for the Blues. His countryman Salomon Kalou was also in the starting lineup in that 2012 final, alongside Nigeria’s John Obi Mikel. Despite playing a terrific match for Bayern Munich in the 1999 Champions League Final and keeping Manchester United's potent attack of Andy Cole and Dwight Yorke off the scoresheet, the former Ghanaian star is largely remembered from that final for letting Ole Gunnar Solskjær score the winner deep into stoppage time. The pain of that last minute defeat would be washed away two seasons later for Kuffour and Bayern though, as they surged to victory in the 2001 final with a win over Valencia. On his day, Manchester City's Yaya Toure can be the most dominant player in the Premier League, but it with injuries affecting his former club Barcelona's backline heading into the 2009 Champions League Final against Manchester United, Toure was asked to fill the role of a centre back. The Ivorian filled the role superbly, as his side went on to a comfortable 2-0 victory in Rome. 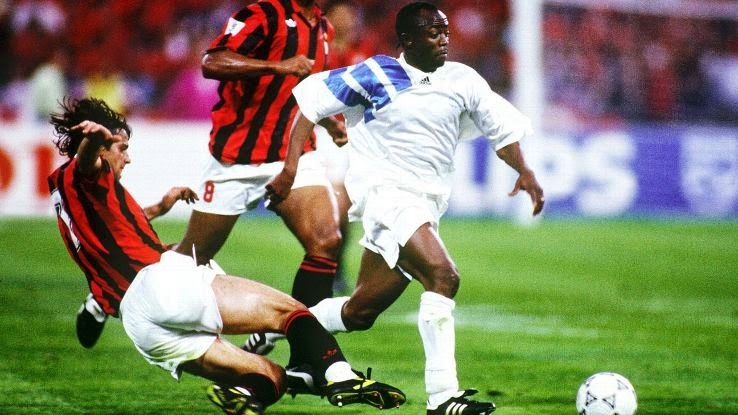 Considered to be one of Ghana's finest ever players, Abedi Pele starred for the controversial Marseilles side of the late 1980's and early 1990's that upset AC Milan in the 1993 Champions League Final. Pele, the three time African Footballer of the Year, provided the cross to Basil Boli for the lone goal against the favoured Italian side. The record four time African Footballer of the Year, and one of the finest strikers that has taken part in the Champions League over the past decade. Samuel Eto'o levelled the scores in the 2006 final against Arsenal for his former club Barcelona, in a match that the Catalan giants would go on to win 2-1. The Cameroonian legend, again opened the scoring for Barcelona in the 2009 final, which they would go on to win 2-0 against Manchester United. He was later a key player for Jose Mourinho's Inter side that downed Bayern Munich 2-0 in the 2010 final.